Could the Palace of Fine Arts Host a New Museum? 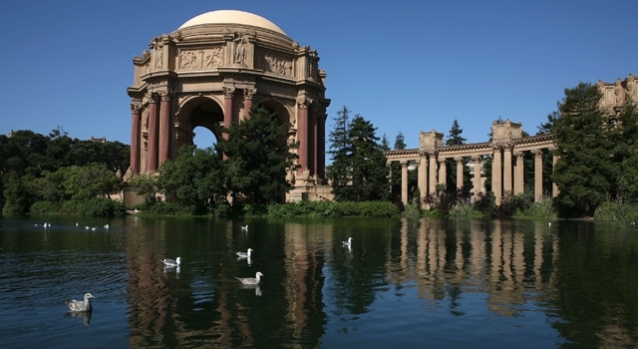 Could the Palace of Fine Arts host a new museum once the Exploratorium leaves? With the Exploratorium gearing up for its move to the Embarcadero in 2012, it's been suggested before that the shell it leaves behind at the Palace of Fine Arts go to the once-proposed contemporary art museum that was instead planned for the Presidio. That plan that got canceled and its art shuffled off to the SFMoMa in a last-minute agreement. Here's another way to play musical chairs with our museums, as proposed by a letter to the SF Examiner: use it for the Museum of the City of San Francisco, which the San Francisco Historical Society's planning on injecting into SoMa's Old Mint. Reasoning? Something one of our own commenters alluded to: $100 million for a Mint rehab is a hell of a lot of money to raise, and "downtown parking is always a major inconvenience." That, of course, is a whole other can of worms.